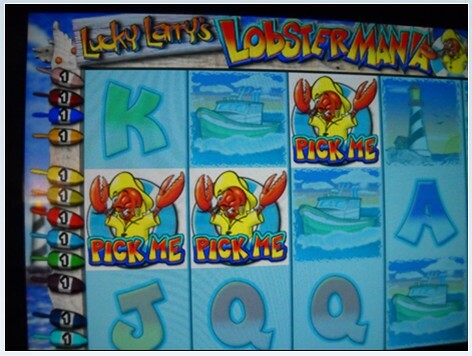 Lobstermania is a 5 reel, 20 lines game with animated symbols creating a very entertaining, atmospheric nautical - but nice! - slot. 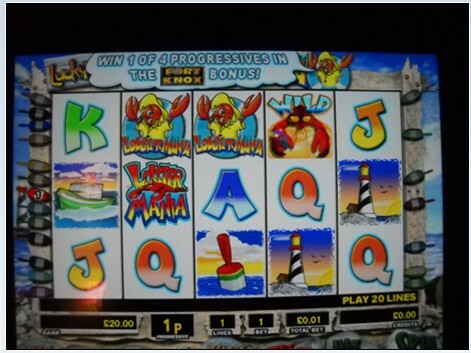 It's possible to win on multiple lines; here for example the win on the 'K's pays out on 2 lines. 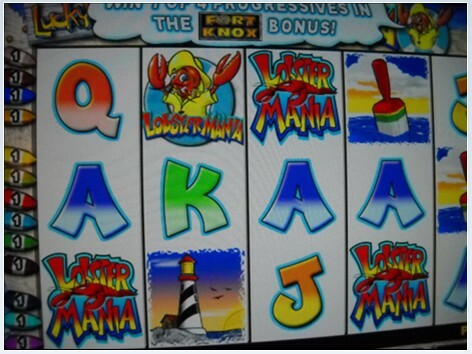 Incidentl;y, 5 WILD lobsters on a winline is the jackpot! 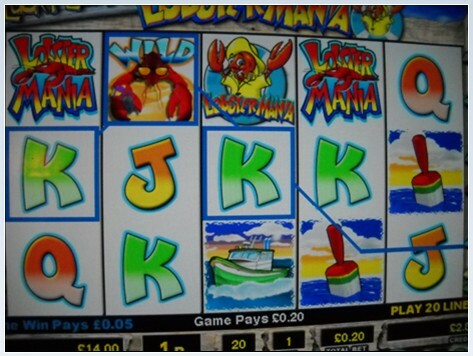 Three lobster symbols bring in the loster- tastic feature! This screenshot shows just 2 symbols... surely we'll be getting our claws into the feature soon! The moment we've been waiting for... 3 lobsters on a winline! Time to select the number of buoys Larry will land; will it be 2, 3 or 4? 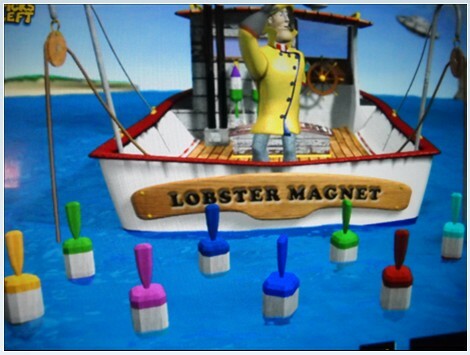 Now Larry invites us to select which of the colourful buoys to empty... and see how lucrative your haul is!